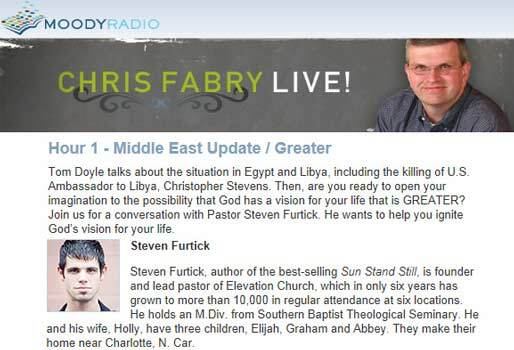 Apprising Ministries has been talking lately about the growing stature of prophet-leader Steven Furtick e.g. in Steven Furtick As Televangelist At Lakewood Church Of Joel Osteen. In fact, actually Steven Furtick Thanks Word Faith Heretic Joel Osteen For Inspiration. Here’s another example that Furtick is crossing over now into mainstream evangelicalism.